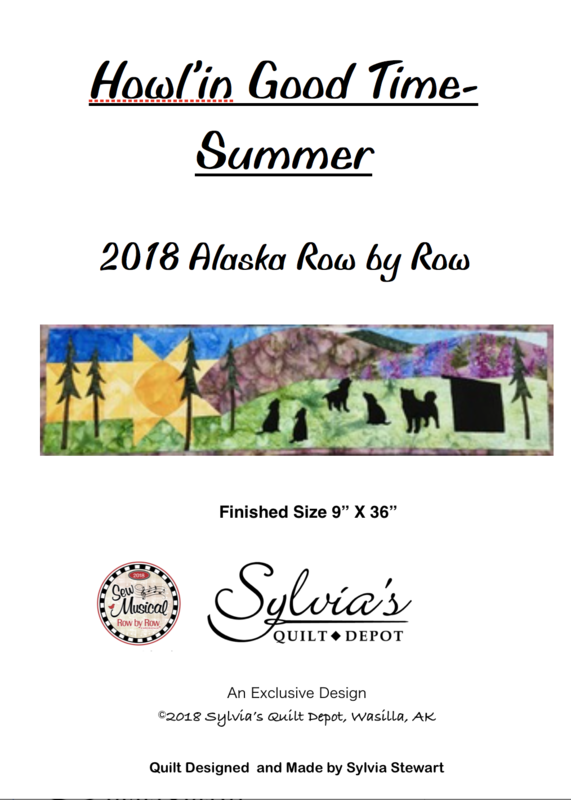 The 2018 Row by Row kit will be available to purchase November 1st. Full Length Pattern including Hoffman Batiks for row. This kit is the fourth in a series of Row by Row patterns. This block represents summer in Alaska when Alaska mushing dogs are having puppies and they are howlin' at the midnight sun. This block fits with other original sized row by row blocks. No borders or binding included with the kit but the fabric sizes are generous.